Wondering where you feel emotions in your body? These images will show you! In the past few years many scientists and researchers around the world have been studying how emotional state and our energetic body cause health or disease. The way we connect emotionally with others or to our overall wellness and wellbeing may indeed be more relevant than any exercise, medical treatment, supplements or food. The emotional sensations we experience, depending on whether we are angry, scared or happy, are actually located in different areas of the body. The simplest example that each one of us has experienced is anger and the feeling of our cheeks getting warmer and becoming pink or our ears –red. That shows that the feeling of anger is evoking energy, connected with the facial muscles of our body. A series of different experiments were done across West European and East Asian to create accurate bodily sensation maps or “heat maps.” The research showed a remarkable consistency in results, below is the heat map illustration of the findings based on different emotions. The study noted the only emotion that shows energy throughout our entire body is, happiness with depression having little to no light or heat. 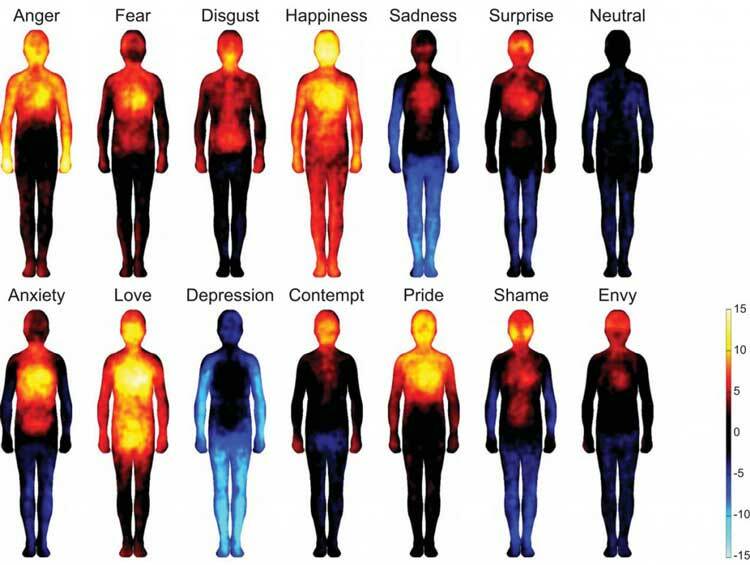 Share these interesting emotion “heat maps”with your cool and crazy friends! Pass it on! 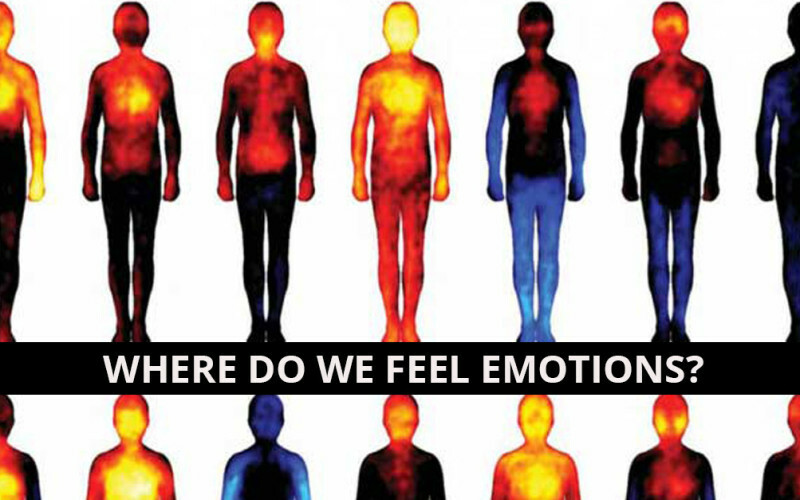 For more information on “Bodily maps of emotions,” click here.